We have all heard of the cat having nine lives, but do we know the artist with at least four. After finishing UNC at Chapel Hill in organ and English, Gaye was organist for a number of churches and taught English at Chapel Hill High School while her husband, Jesse C. Fisher, finished his PHD. She had two sons, Jesse Powell Fisher and John Spurgeon Fisher. 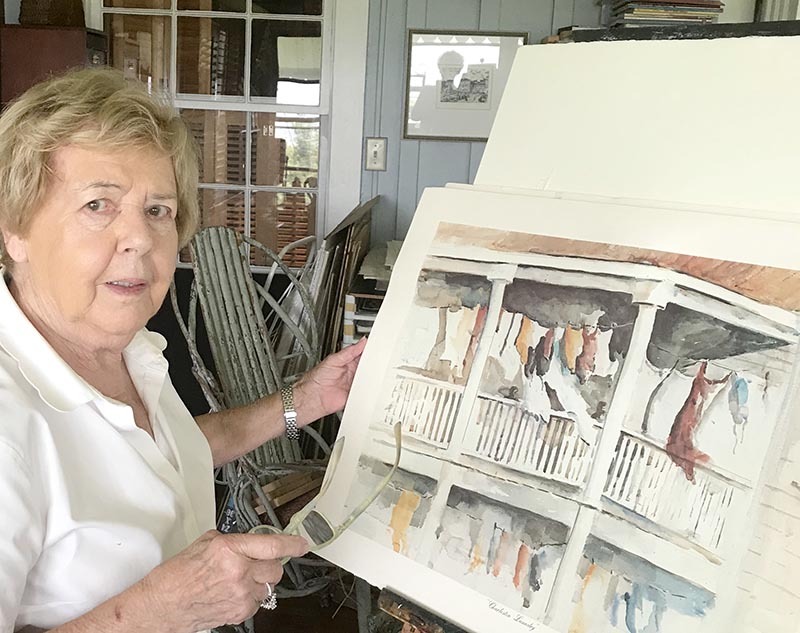 Gaye's love of architecture and history eventually took her down a 32 year road of design and restoration specializing in restoration of area rice plantations. It was through this restoration and research that she discovered the luscious watercolors of Alice Ravenel Huger Smith. By studying the life and work of Miss Smith she found her passion. Watercolor is a medium of freedom. Each painting is an adventure waiting to be discovered and enjoyed. To Gaye it is a way to express the beauty, the emotion of God's gifts to us all.